Slashing official support for solar energy helped scupper Shanghai Electric’s plan to snap up a $2 bln stake in giant GCL-Poly’s core unit. A downturn should drive consolidation in the heavily indebted sector. But the doomed deal shows how hard it is for two sides to agree. GCL-Poly Energy and Shanghai Electric have agreed to call off the sale of a stake in a GCL-Poly unit, according to a filing to the Hong Kong Stock Exchange on Aug. 3. Hong Kong-listed GCL-Poly said on June 6 that it had entered a “framework” deal to sell 51 percent of a key subsidiary, Jiangsu Zhongneng, to Shanghai Electric. GCL-Poly expected the deal to value the unit’s equity at a maximum of 25 billion yuan($3.9 billion), implying the stake would be worth up to 12.75 billion yuan. Shanghai Electric was to pay half in cash and half in its Shanghai-listed shares. 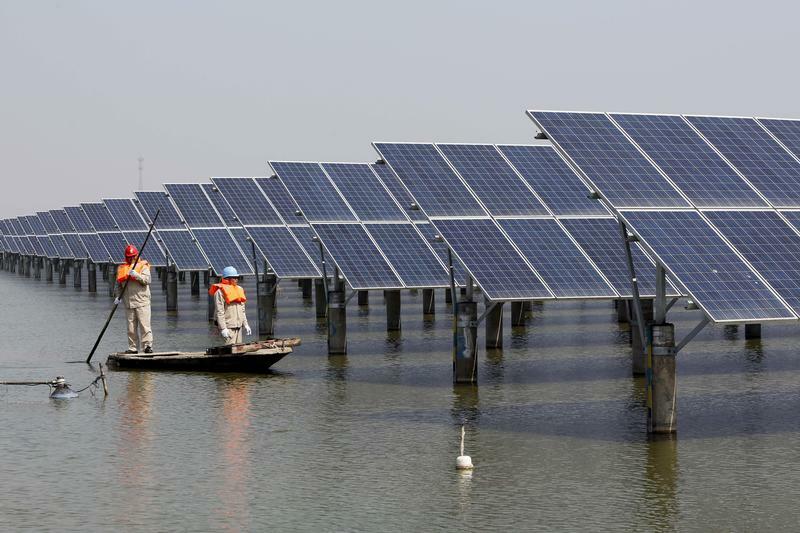 China will limit the development of smaller solar projects in 2018 and axe a target for the construction of large-scale solar farms, the National Development and Reform Council said on June 1. The central government also cut tariffs paid to solar energy generators.